Acccessible to all Australian researchers on the basis of merit, our facility comprises over 300 instruments and 100 expert staff nationwide, dedicated to supporting research. Use the Technique Finder to find the right facilities to answer your research questions. 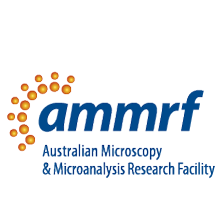 Funded directly through the NCRIS program that established the AMMRF, these instruments are often unique within Australia. Each has a dedicated support engineer and a lower access charge than other instrumentation, to encourage access and further support research. Several of our nodes and Linked Labs provide modified working environments for various advanced experiments. These include PC2, PC3 and now PC4 physical containment labs for imaging biohazardous samples and live animals. Some nodes also have clean rooms. The NanoSIMS is an ion microprobe for ultra-fine feature imaging, and chemical and isotope analysis. The IMS 1280 is designed for in-situ, high-precision isotope-ratio analysis. Both can detect up to five ionic species simultaneously in a diverse array of materials and biological specimens. Enables rapid collection and processing of atomic-resolution TEM images of large molecules and macromolecular complexes at low temperatures. They also enable 3-D electron tomography, which reveals the structures of organelles, cells, tissues and nanomaterials. These allow the determination of structure-property relationships in a range of conductive and less-conductive materials at the atomic scale. They can locate and identify all elements in a sample and extend atom probe tomography from metals to semiconductors, ceramics and polymers. These enable high-precision cross-sectioning by ion milling, and subsequent structural, elemental and orientational analysis in two and three dimensions. The FIBs also make possible the preparation of thin-foil TEM samples of difficult materials and samples for atom probe analysis. A suite of field emission scanning electron microscopes providing a high-throughput, high-precision facility able to structurally characterise materials and to detect and quantify elements at very high spatial resolution. High-resolution SEM imaging completes this comprehensive platform. Extremely sensitive, this instrument analyses atoms and small organic molecules, within a few atomic layers of a surface, with a detection limit of parts per billion. Depth profiles can be generated by the progressive action of the ion beam over the surface to remove successive layers of material.